King Jayavarman II is regarded as the founder of the huge Khmer empire called Angkor. He fighted for independence from Javanese dominion. In 790 AD, he became king of the kingdom called “Kambuja” and could finally declare its independence in 802. Almost 100 years later, king Yasovarman I established a new capital (called Yaśodharapura) which is known as the first city of Angkor. He and the following kings builded temples and monastries dedicated to Buddha as well as Hindu deities in the Angkor area. 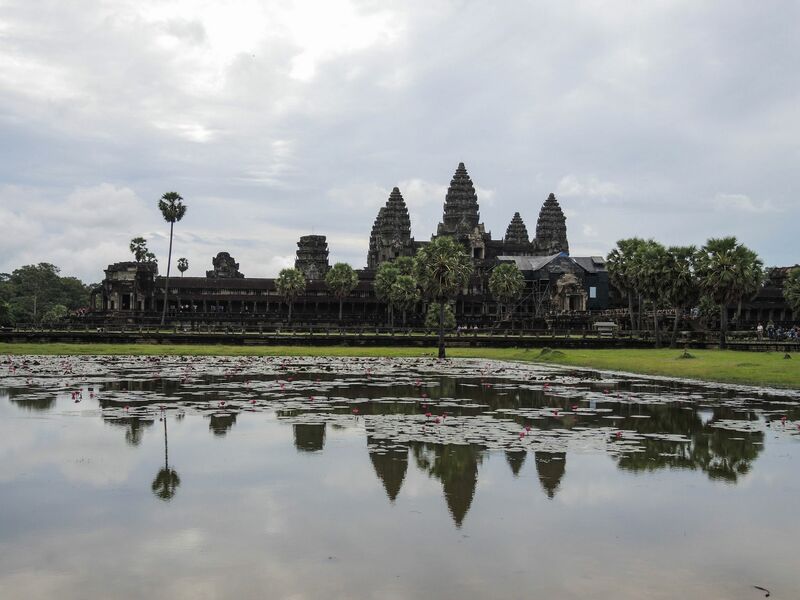 The most famous temple is Angkor Wat, built in the early 12th century. The estimated construction time lies between 30 and 40 years. This giant temple is officially holding the Guiness World Record as “largest religious structure”, covering an area of 1,626,000 m² (17,502,118.31 ft²). Needless to say, that some call it the 8th World Wonder. Firstly, it was dedicated to Hindu God Vishnu, however, in late 13th century, it gradually moved to Theravada Buddhist use, which it still is today. 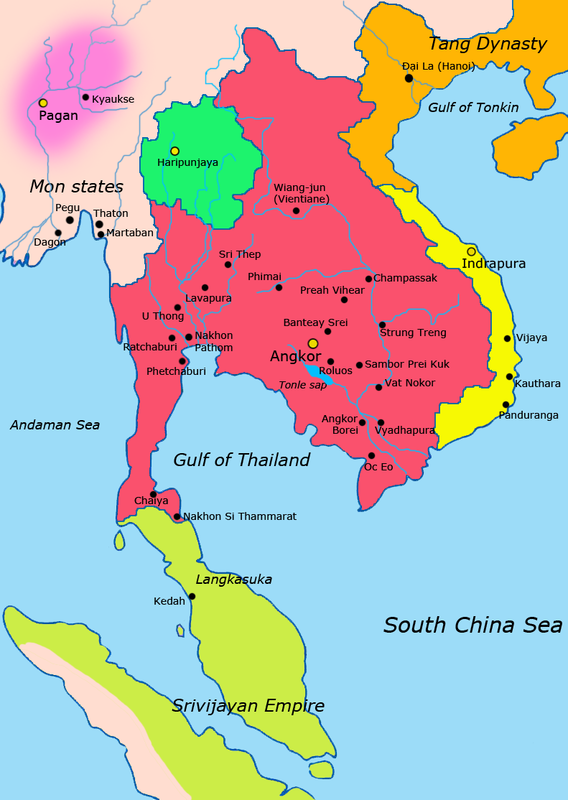 In the 12th and 13th centuries the Khmer empire stretched from the border of modern-Burma to almost the East Coast in modern-Vietnam and up to modern-China. 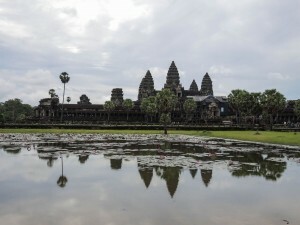 Nowadays, satellite images have revealed that Angkor was the largest pre-industrial urban center in the world. However, its incredible growth also harmed the empire: Everything was made by hand and this obviously put an enormous strain on the population and slaves. Moreover, since Angkor was founded, there was restlessness – many wars and no orderly handover of power; whoever was strongest would succeed to the throne. The first Thai kingdom of Sukhothai (later moved to Ayutthaya) became more and more powerful in the 14th century. 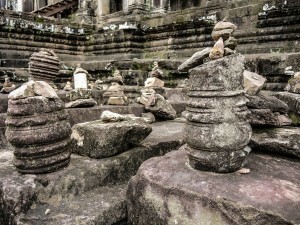 Unfortunately, the precise reason for Angkor’s fall lies in the lack of historical documentation. 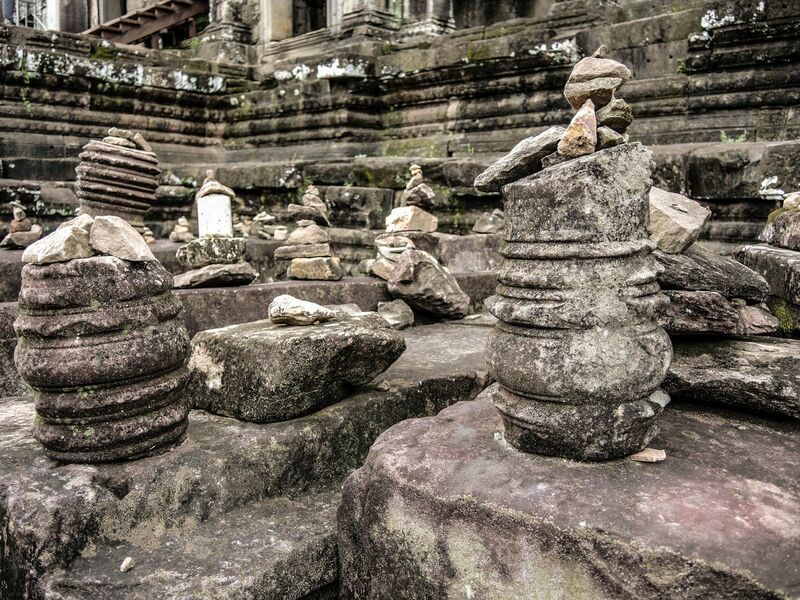 At the turn of the 15th century, reports about Angkor fell silent. The Angkorian monarchy is said to have survived until 1431. The time from then to the 19th century is called the “dark ages of Cambodia”. It was a period of continued territorial loss. Siam (modern Thailand) started dominating from the West and Vietnam from the East. These two countries had fights against each other which made it even worse for the Khmer, being in the middle of it. Around the year 1843, they managed to be placed under the joint suzerainty of Siam and Vietnam. Finally, a bit more peaceful times started. France got excluded from trade with India by Britain which forced them to set up new diplomatic relations in Indochina. Cambodia was interesting. Weak as it was, it wouldn’t be able to fight against the French army and even was glad to get protection since it was in danger of vanishing from the map. In August 1863, Cambodian king Norodom entered into a contract acknowledging French protectorate over his kingdom in exchange for allowing them to explore his country. A few years later, the French signed over the regions of Battambang and Siem Reap to Siam, in return Siam had to leave other parts of Cambodia. 1923, after countless years of waiting and praying, two missionary couples were finally given permission to work in Cambodia. Until then, the doors had been closed. One stayed in Phnom Penh (since the decline of Angkor the new capital) and started translating the bible into Khmer. This work would take several years. After the second World War, they had to rewrite and reprint the entire bible due to the new standardised meaning and spelling of all Khmer words in the first official dictionary. In 1940, France allowed the Japanese military to transit through Indochina to station troops in Northern Vietnam. As the French became weaker in order to war with the Thais (and later WWII), Japan took advantage and invaded the French protectorate of Cambodia. Despite that military presence, they let the French officials at their administrative posts until 1945. Japan then ordered the French forces to disarm, aiming at supporting the local people. On the 9th March 1945, king Sihanouk proclaimed the independent Kingdom of Cambodia. In addition, he replaced the French name Cambodge with Kampuchea. Lastly, he abolished the romanisation of the Khmer language which the French administration had tried to start. That was a long-lasting step since nobody has ever tried to romanize it again. It seems to have been a long time, however, this happened between March and October 1945. This short, official “freedom and peace” ended with the capitulation of Japan. Immediately, the French overtook again. Cambodia got not only ruined by other greedy countries but also from the inside. The worst group of rebels were the Khmer Issarak, a mixed guerilly movement consisting of leftists and anti-monarchical nationalists. They not only terrorized villagers but also radically the still small and young Christian church. They (Christians) were suspected of being sympathisers of France and had to show patriotism by going to the Buddhist temple. Being anti-French they got support from Thailand in the west as well as from the communist Vietminh in the east. But there was no single leader holding all together. Still being king Sihanouk tried hard to persuade the French to grant independence. For this target he risked his throne, however, the deteriorating military situation in Indochina came to his assistance. 1953, the French government finally released its colonies Cambodia, Laos and Vietnam. On the the 9th of November 1953, Sihanouk, being hero again, proclaimed independence for the “Kingdom of Cambodia” which got recognised by the Geneva Conference of May 1954. This was the end of the French control as well as for the Issarak which didn’t have enough reason to exist anymore. Just a few months later, Sihanouk abandonned the throne in favour of his father. Thus, calling himself prince, he had a free hand to engage in politics. Their domestic policy was mostly to protect Buddhism, struggle against injustice and corruption, wake up a feeling of nationalism, loyalty and unity and to calm the situation down. Neutrality was during the 1950s and 1960s the most important part of the Cambodian foreign policy. Or at least Sihanouk (now Head of State) was officially talking about remaining neutral. In fact, he pushed his country directly into the Vietnam War by allowing the forces of North Vietnam to take eastern provinces as bases in the war against South Vietnam and the USA. 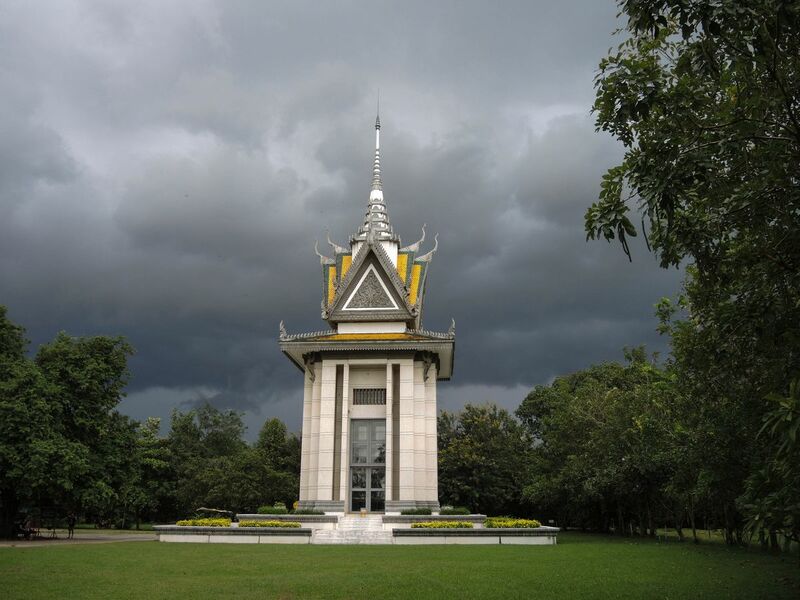 These also served as the southern terminus of the Ho Chi Minh Trail on which the Vietnamese brought supplies from the port in Cambodia up to North Vietnam and the other way around. 1969, the United States became too concerned and started a bombing campaign to destabilize those sanctuaries. Sihanouk was afraid of that war spilling over to Cambodia, that’s why he didn’t object the US to bomb as long as no native was killed. 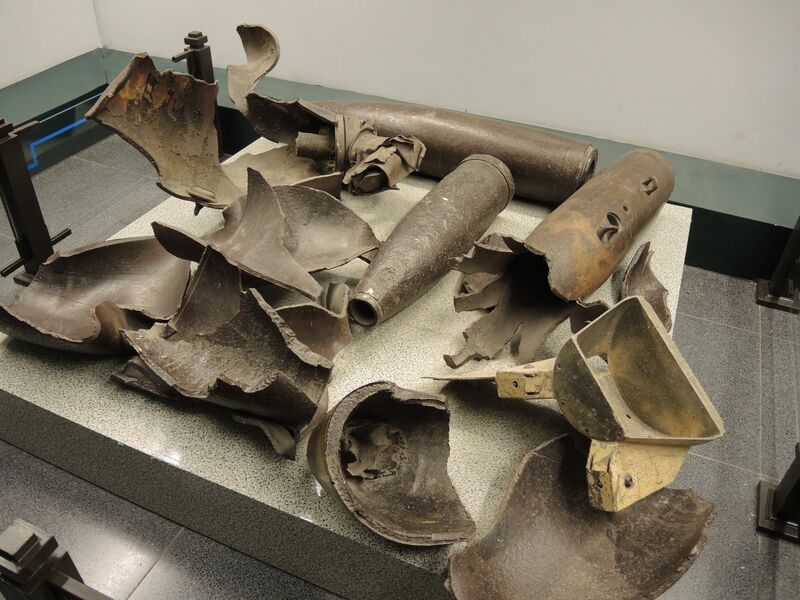 In total, the US dropped thousands of tons of ordnance over Cambodia. The Cambodian coup of 1970 refers to the replacement of Sihanouk with Lon Nol by a vote in the National Assembly. Before long, he would rename the country Khmer Republic. Troubles didn’t wait long to come. The new government was pro-American and anti-Vietnamese which eventually ended the neutrality (if you can call their policy neutral until now). On a whim, the North Vietnamese Army was threathened by an enemy government, after all, they still had many important bases in that newly hostile territory. They quickly reorientated themselves and started assisting the still small guerilla movement called Khmer Rouge. Until the year 1975, there was quite a lot going on in and around Cambodia. To cut a long and complicated story short: Everybody fighted against everybody. The most important groups were: South Vietnam with the US vs. North Vietnam (still Vietnam war) / Khmers vs. ethnic Vietnamese living in Cambodia / North Vietnam with Khmer Rouge vs. the rest. Since there was this Ho Chi Minh Trail from the North Vietnamese army going through East Cambodia as well as Laos (also as neutral as possible), thousands of tons of bombs got dropped by the US not only in Vietnam but also in those two neighbour countries. This savage fighting came to a sad end in 1975, when the Khmer Rouge announced the establishment of Democratic Kampouchea. It might have been the end of the Cambodian Civil War, however, it was also the start of the Cambodian Genocide, one of the bloodiest in history. Saloth Sar (later Pol Pot) is the eighth of nine children of a rice farmer family. In 1949 he got a scholarship from the government and went to Paris where he studied radio electronics. During that time he was very interested in the theories of Marxism. In order to that, he joined the French Communist Party. There were many other Khmer studying in France since Cambodia was still a colony. With some of them Saloth Sar later led the Khmer Rouge. 1953, he failed to pass the exam and therefore returned to Cambodia where he started working for the Kampuchean People’s Revolutionary Party (KPRP) as well as in a school as teacher for history and French literature. It is said, he was well respected by colleagues and pupils. A few years later, his friends from the student group in Paris and he overtook the control of that party. 1963, he was chosen to be the general secretary, the highest post in the party. Gradually, the ideology of the Khmer Rouge developed. Also, Saloth Sar transformed his position slowly into an absolutist one. During these many fights (as mentioned above), the Khmer Rouge used the weakness as their advantage to advance. By the middle of 1973 they already controlled more than half of the country and about a third of its population. In April 1975, the government resistance to the Khmer Rouge finally collapsed and they captured Phnom Penh. Saloth Sar got appointed by the new government as prime minister. He called himself “brother number one” as well as chose the “nom de guerre” Pol Pot. Moreover, the new constitution altered the name of the country to “Democratic Kampuchea”. His goal was to make a self-sufficient state while agriculture was the key. Pol Pot declared the “Year Zero”. The ruthless policy wanted to purify the society of capitalism, religion and all foreign influences. 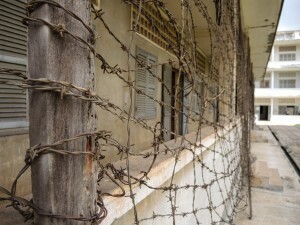 The Khmer Rouge reigned insanely brutal with incredible cruelty. After Phnom Penh had fallen into their hands, they immediately started to evacuate the 2Mio. city to the countryside. It wasn’t the first neither the last one. The people in many other major towns and cities were ordered to leave them as well. Lots of ghost towns resulted. The people had to work in the fields and only got small rations to eat. Members of the old government, public servants, police, teachers, foreigners (even Vietnamese), Christians and Muslims, disabled or educated people in general and those from the middle-class were identified and executed. More and more, no matter what one did, they could find a reason to put him to death even when it was just for grieving over the loss of somebody. When three people were talking together the Khmer Rouge could accuse them of starting an opposition and arrest them. The regime was extremely paranoid. It was an unimaginable genocide: People would firstly be sent to prisons where they got interrogated and tortured. Trucks would then bring prisoners to the “killing fields”. Many of them had to dig their own mass graves. Since the order clearly said: “Bullets are not to be wasted” the soldiers of the Khmer Rouge rarely shot their prisoners. Either they would bury them alive or kill them with whatever they found: a stick from a palm which was as sharp as a knife to behead them, axes, cudgels, … . During those killing times they would play loud music so nobody would raise suspicion. They scattered chemical substances over the bodies after execution in order to avoid stench and to kill victims who were buried alive. Another rule was to exterminate “the evil” thoroughly. 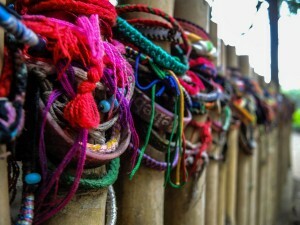 Thus if a family member got arrested and sent to the killing fields, they usually killed the whole family. People they didn’t arrest had to work hard, didn’t have any right for leisure activities, freedom of decision-making, private property, education, express emotions. Hundreds of thousands died of starvation, diseases and exhaustion from overwork. Life was an unending misery in a prison without walls. The discussion about how many people lost their lives during the “Khmer Rouge revolution” which endured during three years and eight months, is not yet finished. Most often, a number between 1.7 and 3 millions is estimated. That would have been about a third of the population in 1975. Worst of all, during the 70s, no country cared. With the goal to extend their territory, the Khmer Rouge started fighting at their border to Thailand and Laos and especially wanted to win back the Mekong Delta. That used to belong to the Khmer empire long time ago and the Khmer have always been in dispute with the Vietnamese over it. This was one of the reasons of the tense relation between those two countries. Finally in December 1978, Vietnam invaded Cambodia and on the 7th of January 1979 they captured Phnom Penh, forcing the Khmer Rouge leaders to flee to the west. They eventually left the country, seeking refuge in Thailand, in the mid 80s. 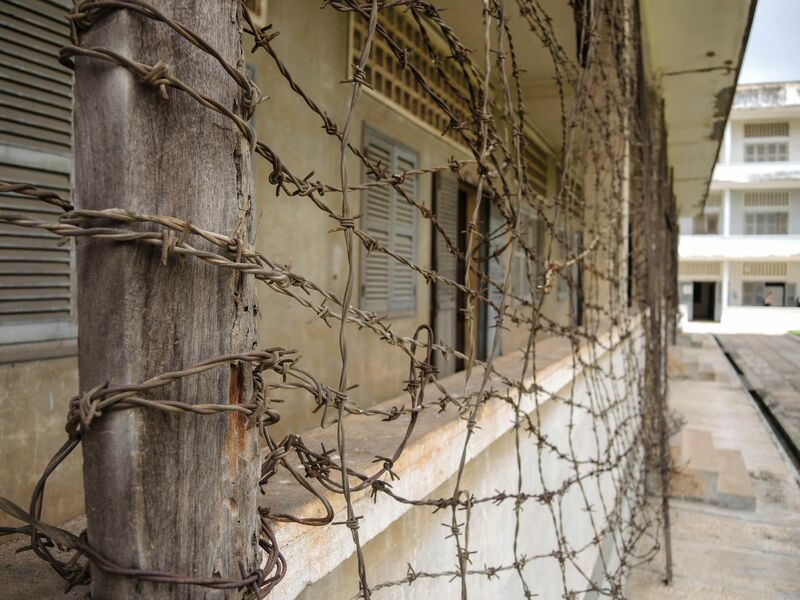 From 1979 to 1990, the Khmer Rouge regime was still recognised as the only legitimate representative of Cambodia. Despite that, Vietnam helped the Cambodian population to start with a new socialist government which called the country People’s Republic of Kampuchea. That meant another loss of independence, however, this was still better than the brutality of the former regime. Or at least it was meant to be better. Nonetheless the Cambodian-Vietnamese war continued. Vietnam occupied Cambodia, Thailand came from the west and also wanted to expand, China, the US and other nations supported their allies. Countless landmines got laid down. Famine went on in Cambodia since there was no real and working systeme anymore and a lot had got destroyed by bombs and fights. It is estimated, that another 0.5 to 1 million people died of starvation during the 80s. There was no police, no schools, no books, no hospitals, no post and telecommunications and no legal system anymore. Thus the Khmer started restoring Buddhist temples and monasteries which had been badly damaged by the Khmer Rouge. A major obstacle was that experts and teachers were missing since those had been killed during Pol Pots regime. Separated families started searching their relatives, the people who had been banished from their cities walked back to their homes. About half a million people were living as refugees along the Thai-Cambodian border. Eventually, 10 years of the Vietnamese occupation of Kampuchea officially ended in September 1989. Two years later, the Vietnamese Government signed the Paris Peace Agreement which aimed to re-establish peace in Cambodia. And now, after so many years of suffering, a better future was within reach. Aid organisations came to Cambodia and helped rebuilding. In 1993 the Cambodian Constituent Assembly approved a new constitution, appointed a new First Prime Minister and even the monarchy was restored with Sihamoni as the new king. Some months later, the Cambodian Government recognised the genocide and war atrocities which were committed by the Khmer Rouge. It took another four years until the Khmer Rouge were completely dissolved. That makes it less than 20 years ago! 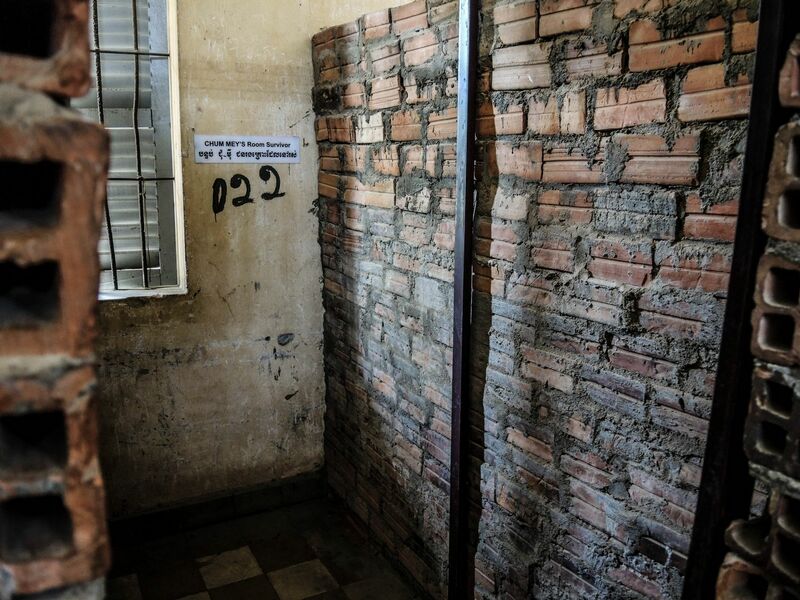 In 1997, first attempts to set up the Khmer Rouge Tribunal weren’t very successful. Due to delaying negotiations it wasn’t until March 2006 that the Secretary-General of the United Nations, Kofi Annan, nominated seven judges. In 2007 the first trial against Kang Kek Iew (also called Duch) started. He is now serving life sentence imprisonment. It is said, that there are few other trials going on, but most of it is secret. It isn’t an easy thing since many leaders had called themselves differently and they need to track them down first, furthermore, many have died. And so has Pol Pot in 1998 without ever being arrested.